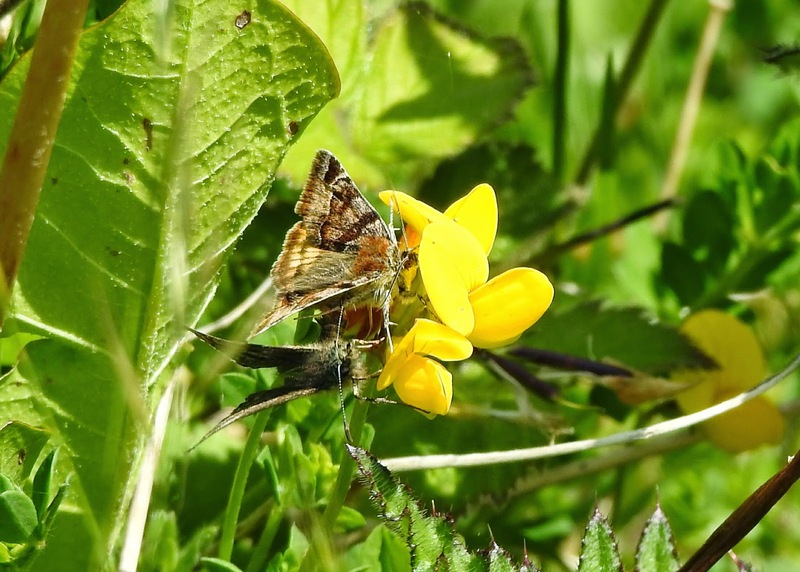 Carmarthenshire Moth and Butterfly Group: A second sighting? 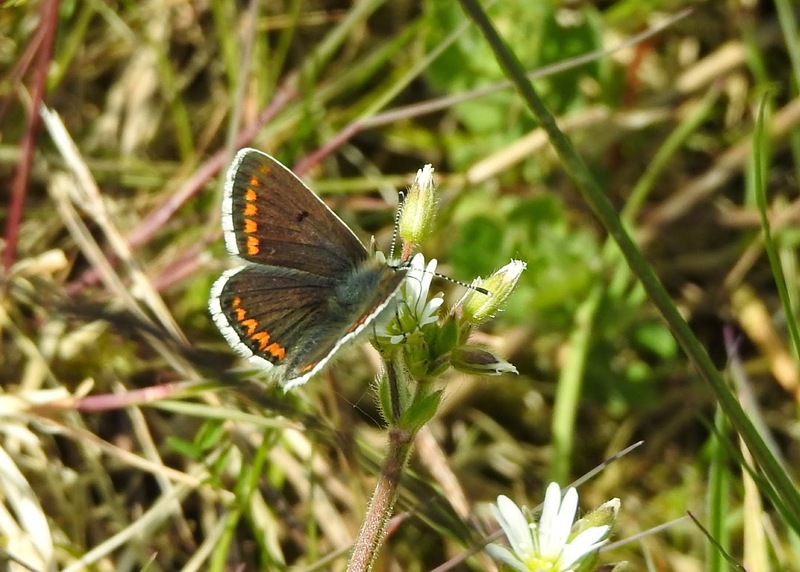 The glorious sunshine this afternoon certainly brought out the butterflies and I have seen another brown argus, (photo below) on Ffos Las and I'll certainly be keeping my eyes out for any more. 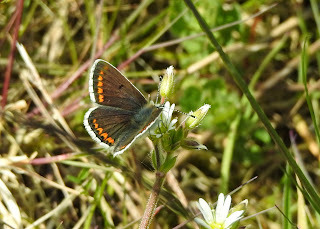 The most common butterfly seen today was the dingy skipper with 37 individuals seen, closely followed by 31 common blue (all males), 13 small heath, 4 orange tip (males), 4 wall brown, 2 brimstone, 1 speckled wood, 1 peacock and 1 cinnabar moth. 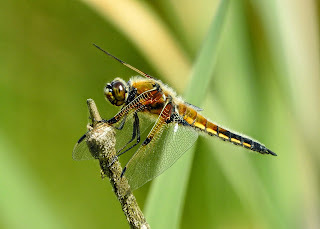 There were also several species of blue damselfly, large red damselflies and this 4-spot chaser dragonfly. This burnet companion moth was seen a couple of days ago competing with a dingy skipper. 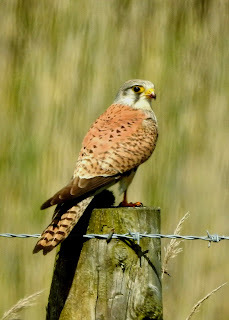 A kestrel briefly landed on a fence post close to me with what appears to be a fairly large rodent (rat?) in its talons. I have another photo with the bird facing me where the prey can be more clearly seen, but this is better as it displays the beautiful plumage of the kestrel's back and tail. Nice photos (and records) as always, Maggie. The kestrel is quite a scarce bird in the county these days but brownfield sites, with their diversity of vegetation etc, are favoured. Your kestrel looks like a younger male that has n`t yet achieved the all-blue tail.